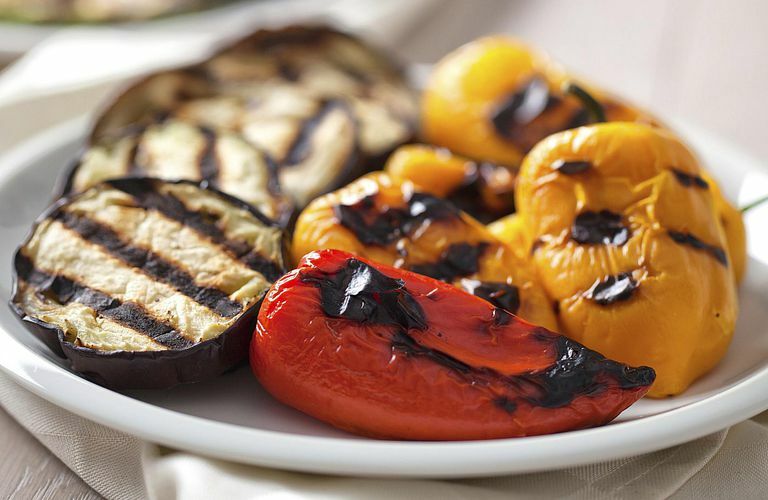 If you've already got the grill out, this eggplant is an easy grilled appetizer or side dish that goes well with a variety of grilled meats. I like putting some bell peppers on at the same time. Sprinkle eggplant slices coriander, cumin, salt, and pepper. Drizzle with olive oil and smear it on with your hands. Let sit for 5 to 10 minutes. Grill on a medium-hot grill, about 4 minutes per side. If you like more spice, whisk a little hot pepper into the olive oil before drizzling. Aleppo pepper is an authentic Middle Eastern one or a little Harissa paste. Cayenne or other hot pepper works fine if that's what's on hand.